This new software based value transfer system, is called “Hedera Hashgraph” and it’s been making tidal waves in crypto circles. It claims to be able to do everything that blockchain technologies like Bitcoin and Ethereum can do, but much, much faster, and better. According to its white paper [Download it], it can process over 250,000 transactions per second (tps). That’s better even than what VISA can do, by about 5x. About 12,500x what Ethereum can do, and an unbelievable 30,000x what Bitcoin can do. It will allow smart contracts, just as Ethereum does, and is built using Ethereum’s Solidity programming language. It will do away with miners, because it uses a “Proof-of-stake” mechanism, rather than “Proof-of-work” like Bitcoin, and it is this proof-of-work mechanism that is causing Bitcoin to use so much time, and energy. You can’t buy into its initial coin offering (ICO). It doesn’t need the money – we’ll get into why that is in a second. But it will soon be available on exchanges and released for developers to build on. It sounds like the ideal crypto, doesn’t it? Smart contracts, super-fast and super-scalable (it also claims to be super-secure). I first learned of Hashgraph, some months ago, so, today we’re going to take a “deep look” into Hedera Hashgraph, and find out if it is a friend or a foe. Firstly, what is it exactly? So, although it’s called a “Hashgraph” it’s basically just another DAG with a different algorithm. The hashgraph is a patented data structure developed by Professor Leemon Baird. The hashgraph stores and updates information in accordance with a unique algorithm which allows a distributed and decentralised community to reach consensus between nodes/members in a fast (250,000 transactions per second) and secure (Strong Form Byzantine Fault Tolerant) way with mathematically proven fairness in the absolute ordering of transactions. The data structure is a directed acyclic graph, where each vertex contains the hash of its two parent vertices. A hashgraph is updated by gossip where each member repeatedly chooses another member at random who gives them all the events that they don’t yet know. So the first thing that should jump out at you is that Hashgraph is patented. In the world of crypto that is a huge red flag. Its creators claim that this is to stop Hashgraph from forking, like Bitcoin. If anyone tried to change the code for a better one and fork it, Hashgraph – or the company that owns it, Swirlds – would sue them. So basically, if you’re using Hashgraph, you will behave as Swirlds wants you to behave. The fact that it is patented also means it is not open source. This goes against what almost every other crypto out there stands for. It means people can’t check or improve the code. Even IBM’s Hyperledger is open source. I can’t think of a single crypto that isn’t. That stops the Wild West atmosphere that has pervaded the Crypto world since 09, but means that they dictate the world going forward, and THAT is a problem. Any corporation with that much control eventually does not serve the users interests, but its shareholders, and executives. The second thing you might notice is the DAG structure works in the same way as IOTA. In IOTA, in order to process your transaction you must verify two others. Another thing you realise, once you study the white paper, is that unlike many cryptos, which form non-profit foundations, Hedera Hashgraph has formed a for-profit foundation. Hedera Hashgraph Council is a for-profit LLC that will be governed by up to 39 renowned enterprises* and organizations, across multiple industries and geographies. And yet it wants to be “the new internet”. If the internet had been created as a for-profit foundation and built on closed-source software, the world would be a very different place now. A much less collaborative and much less technologically advanced place. Most cryptos see this and pride themselves on building open-source platforms and protocols. But not Hedera Hashgraph. Hedera Hashgraph is all about its own profit. You must pay fees to use Hedera Hashgraph. One of the main benefits DAG cryptos provide is they can be fee-free. Two of the biggest DAG cryptos at the moment, IOTA and NANO, process transactions for free. The fee-free model is perhaps one of the most important breakthroughs in crypto. For a pure payment coin like NANO, what you send to someone is exactly what they get. If you send 0.005p worth of NANO to a shop or a friend they will receive exactly that. And for a machine-to-machine crypto like IOTA this is also massive. It means machines can make millions of micro transactions to each other without paying fees on these many, many micro transactions. Hedera Hashgraph will not be free to use. You have to pay fees to send transactions and to store files on it. DIVIDEND PAYMENT – Periodically, Hedera may make payments to the Governing Members to reward them for their role in governance. The fees that are collected by Hedera are divided between incentive payments and dividend payments, as determined by Hedera. I guess that brings us to the question of who the HHC is. After all, it will be the one with the power to hard-fork Hedera Hashgraph at will and change its protocols. There are 39 corporations who make up the HHC. The HHC says what happens to the Hedera Hashgraph protocol and users must oblige. Hedera Hashgraph Council plays the role of rule-maker, indirectly sets the rules, fees, and approve new software updates via Governing Board which is elected by HH Council, and the community just plays the role of rule-enforcer, running nodes to verify transactions and apply only the rules of the software written and approved by the Governing Board. This worries me, because in my opinion, it is the complete opposite of the typical politic model we often see: the people, the masses, the community – the DEMOS, plays the role of rule-maker (via electing a parliament etc…), and the government only plays the role of rule-enforcer. GOVERNANCE – A general-purpose public ledger should be governed by representatives from a broad range of market sectors, each with world-class expertise in their respective industries, and also selected to provide global geographic representation for all markets. Those that are governing need technical expertise so they can competently manage the technical roadmap. They need business expertise so they can manage business operations of the organization. They need expertise in economics and currency markets so they can manage the cryptocurrency. They need legal expertise to help navigate the evolving regulatory environment. In other words, governance should be by those globally recognized as world leaders in their respective industries, and representative of every market in the world. So, how should we be sure this HH Council will not become corrupted or make the decisions that optimize the benefit for themselves but not the mass? Especially according to the whitepaper, Hedera Hashgraph Council is a for-profit LLC! Say, if some day Hedera Hashgraph is mass adopted around the world, many crucial global applications run on Hedera platform, then the HH Council (especially Swirlds) would become an organization with supreme power. Even if the Council becomes corrupted, people would have no way to change it because we have no right to vote, because the HH Council is a closed group which could make the decisions that benefit themselves best, then elect the new Council members who have the same minds, then the new Council repeats,… This is the endless loop and the degree of corruption might rise over time this way. I think the idea that Hedera Hashgraph is designed to run in the opposite way to democracy is a very important point. Especially as most crypto is about the democratisation of technology. This is exactly the opposite of Hedera Hashgraph’s approach. The idea of the HHC also brings up another major red flag. HHC owns 60% of the supply. Given that Hedera Hashgraph runs on fees, we can ask how those fees be distributed. Hedera Hashgraph will run a proof-of-stake protocol (POS). This means people who own it can “stake” what they own to secure the network and in turn get rewarded in fees. So, given that HHC owns 60% of the supply, it will collect 60% of the fees for itself. That’s on top of its unspecified dividend payments. Oh, and because it has total control of updates and upgrades to how Hedera Hashgraph works, it could allocate itself even more at any time. And all users would have to go along with it. Ripple gets derided for its centralisation – But even Ripple pales in comparison to the centralisation of Hedera Hashgraph. And the more you dig into it the murkier it gets. Hedera Hashgraph was created by two ex-military men. The co-founders of Hedera Hashgraph are ex US Air Force. This brings up all kinds of questions about government collusion and makes the patenting and secrecy behind Hedera Hashgraph’s code all the more significant. Just what is in there that it doesn’t want people to know about? I’m sure some people would even go so far as to say that given it’s private code, created and patented by military men, it could have backdoors built in. Of course, I wouldn’t suggest that. Still. Knowing all of the above, does Hedera Hashgraph really seem like the crypto we want “the new internet” built on? I went into this completely neutral about Hedera Hashgraph, but I have come out of it fiercely convinced it is not a good crypto. It is incredibly centralised. It uses fees. It is closed source. Its corporate leaders can change its code and rules at will. And it could even lead to patent wars in crypto – something most cryptos have worked hard to avoid. That’s not to say that it won’t do well. It has a lot of money and power behind it, and it makes some very big claims. Most people will not look into it this deeply, and even if they do they may not see these red flags in the same way I do. Some people may even see its centralisation and structure as a benefit. I do not. Once it gets its full release it will be very interesting to see how the crypto community and the wider media respond. How do you feel about Hedera Hashgraph? Am I wrong, is this the future of crypto? 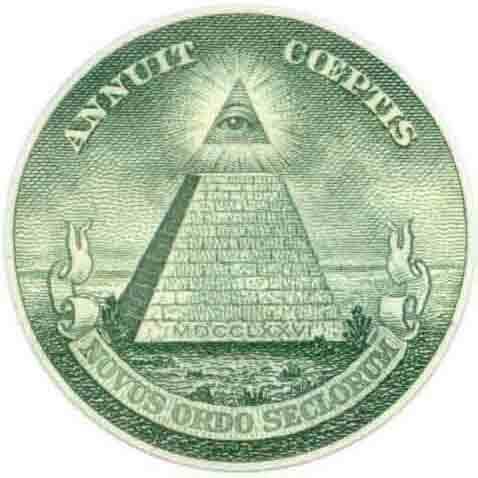 Or is it yet another way to control the masses, using a coin with big claims that is fundamentally anti-democratic? Let me know@ WA1Marketing@aol.com – With the Subject line – HEDERA HASHGRAPH. And if you want to tell the world, put your comments in the Comment box below, and if you like this stuff, and want more of it, hit the subscribe button Up there to the right. And of course you can share it using the buttons below to your social media. This entry was posted in Crypto-Currencies, Bitcoin, Litecoin, Alt-Coins, Currencies, Money, Politics, Finance and Economics., Political Economy & Finance, Technology Investing.